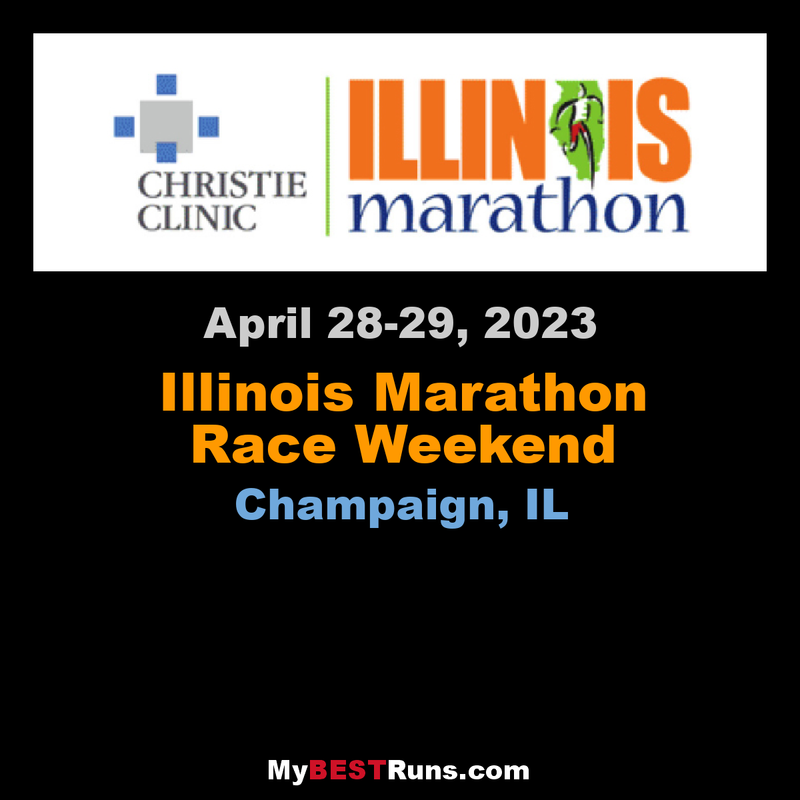 The Christie Clinic Illinois Marathon offers a beautiful, scenic tour of the University of Illinois campus, revitalized downtown streets, tree-lined residential neighborhoods, and an awesome paved park trail. Thousands of friendly, fun fans and volunteers from Champaign-Urbana line the course, exuding Midwest hospitality. You'll find first-class race shirts, medals, food, and fanfare. Enjoy a spectacular finish at the 50-yard-line of the University's historic Memorial Stadium and attend the rockin'post race 27th-Mile Celebrate Victory Bash right outside the stadium. Live music, free beer, bragging rights. Join us April 26 & 27, 2019. See the BEST, be your BEST in Illinois. This looks like a really good Midwest marathon. Good course, prize money and fun! All of the races start and finish on campus of the University of Illinois — home of the Fighting Illinii. The race starts near State Farm Center, runs through campus, loopsthrough Urbana, back through campus, out into Champaign, andfinishes on the 50-yard line of Memorial Stadium. 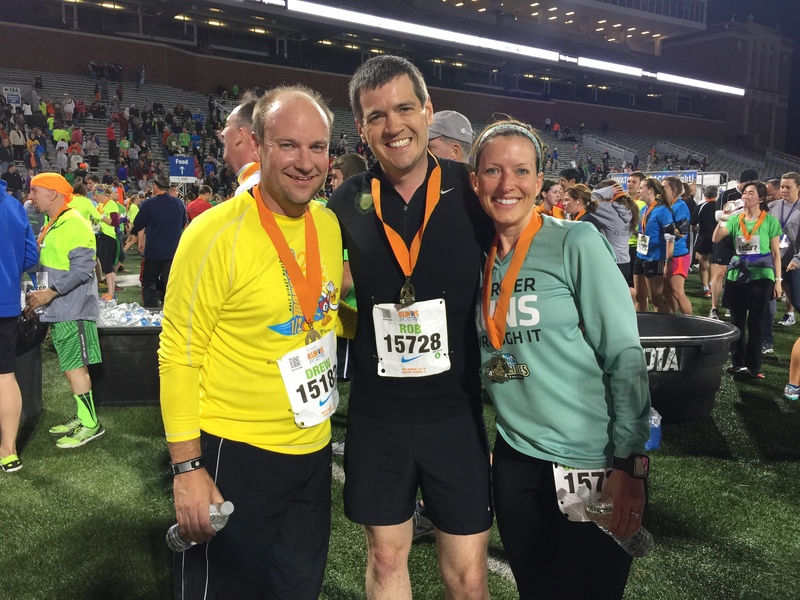 Start near the State Farm Center, run through crowd-filled neighborhoods and tree-lined parks, and finish on the 50-yard line of historic Memorial Stadium. The maps show course routes; mile markers; hydration, gel, and medical stations; shelters; relay exchange zones; and maps to help residents and onlookers get around town. Unforgettable finish line inside the Memorial Stadium. MARATHON PRIZE MONEY: $12,800 for 2019 (includes $500 bonus prize money each for first male and first female Illinois resident). Course record bonus is $500. HALF MARATHON PRIZE MONEY: $3100 for 2019. Course record bonus is $200.